Hello! It's Allison from Stuckey in Second. This month, I wanted to share and idea that my teaching neighbor and I started a few years ago. (She's also a blogger, so I will leave her blog link below!) 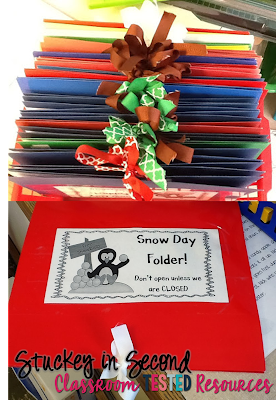 Find out why and how we worked together to make snow day folders! 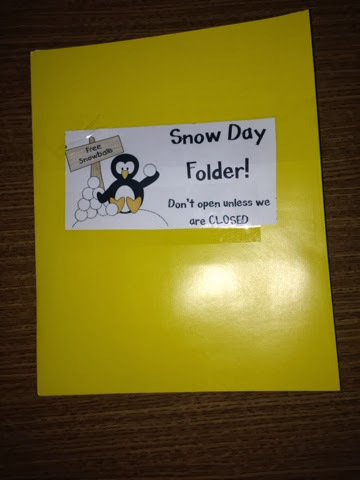 My teaching neighbor (Abbie from Tales From the First Grade) and I decided that after all of our snow days that we had that particular year, we would create some Snow Day Folders to send home with our kids for these dreaded snow days! When they turn into snow WEEKS, it starts to get a little old! The first few snow days were fun, but now we are quickly realizing that we have had too many and our kids are experiencing that "after summer decline" in the middle of January! These are a smart idea to have ready each year, depending on the part of the country you live in! I'm going to share how each of us made our sets of folders. Mine are for 2nd graders and Abbie's were for her first graders, but both very similar! I wanted to have a mixture of reading and math materials in my folders, so I dug out some of my favorites that I have recently purchased! 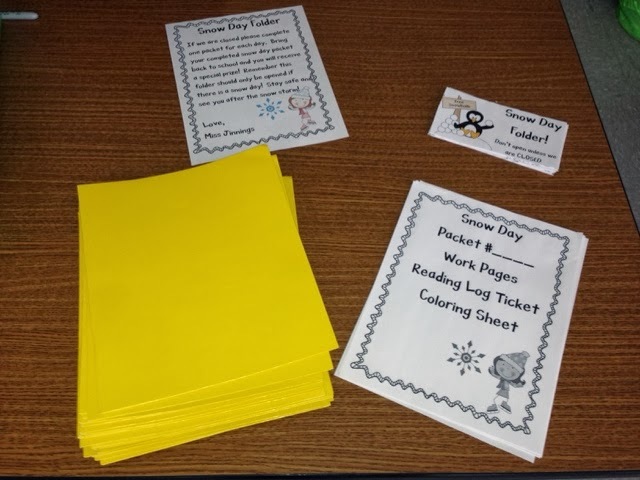 I knew these items would be great practice for my second graders at home! 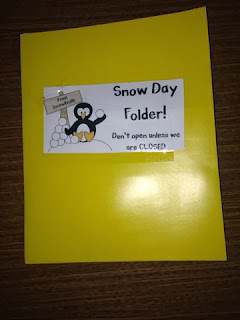 Below you will see how Abbie organized her Snow Day Folders, just to give you another idea and visual. 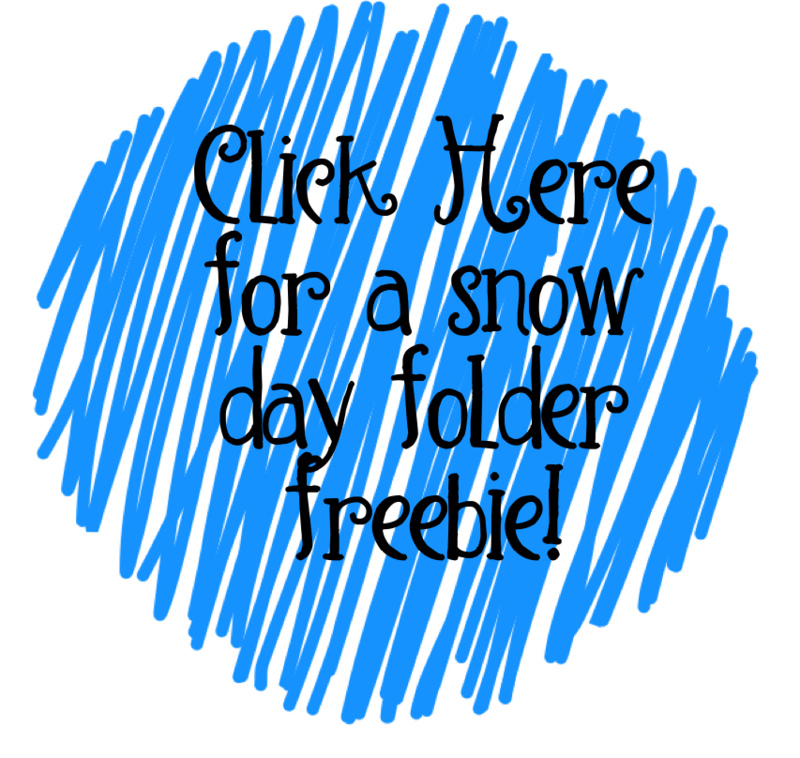 These folders are for days we don't have school. Inside the folders are packets of extra work, reading log, and a coloring page. She really pumped the kids up about the packets by explaining that all students who completed a packet and returned it after a snow day would get a special prize. 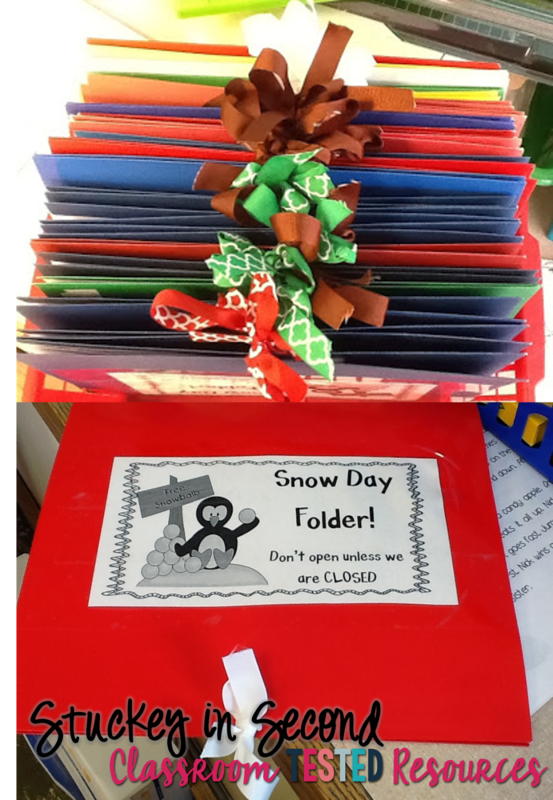 To excite the students I made a fun snow day cover with the message "only open if we are closed!" 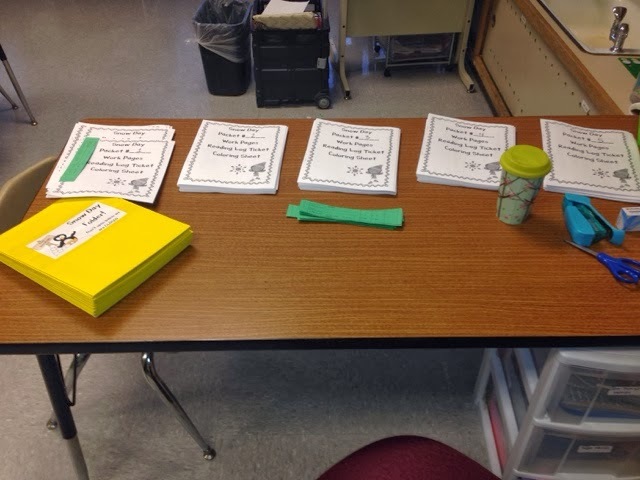 I made 5 packets for each child's folder. Inside the packet I used work pages from Molly Lynch TPT store, a few pages from a coloring book, a reading passage, and a reading log ticket. I am hoping this will help my kids keep up during this wild winter! 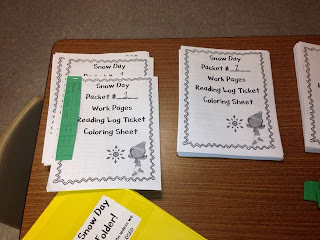 I really hope that this simple idea can help you and your students this winter. Even more, I hope that you don't have TOO many snow days...but at least a couple just to give you some rest! Happy New Year and Happy Teaching! This is a GREAT idea. I live in Indiana too. The last few winters have been brutal. I wish I had had this resource when my kiddos were home for several days. Thanks! This is a fabulous idea! Although, we don't get many snow days down here in South Carolina, I will definitely share this idea with others!! I got tired of them last year too, so I took to Remind.com (most of my families used it) and e-mail and sent little assignments. One day, for example, they had to bring back 2 things that rhyme and they were allowed to have show and tell with their items the next day. I love the idea of their folders stuffed and in their backpacks. I need to get on this! Good idea!! Keeps them thinking!! !